Vishwanath Batunge has been performing for past 25 years and has been on the famous music show Sa Re Ga Ma Pa. He is well versed in genres such as Classical, Sufi, Folk, Ghazals, and Bollywood songs. 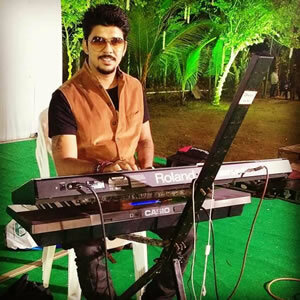 A graduate of the Indian classical music, Vishwanath has performed under the guidance of Padmashri awarded music director Shri Ravindra Jain, Aniket Khandekar, Vikash Parikh and Hriday Desai. 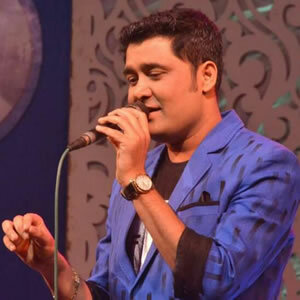 His talent has been featured in albums, tv shows, jingles as well as playback music in many regional movies. Vishwanath has worked with many famous singers and performed in many stage shows and live in concerts in India as well as abroad; including: USA, UK, Holland, Israel, Thailand, and Singapore. 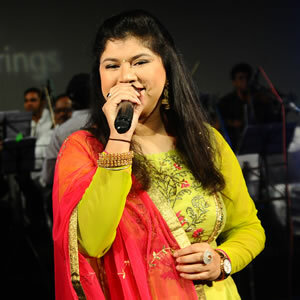 Nayana Sarma is a versatile singer from Assam, settled in Ahmedabad Gujarat. She is gifted with a very sweet melodious voice which was discovered at the age of 12. She has been training under Ustad Shaukat Hussain Khan Saheb since the age of 13. Naturally talented, she has been performing under various banners at different concerts across the country in different Languages (Hindi, Gujarati, English & Assamese).While pursuing Master's of Science in Biochemistry at Nirma University, she won number of awards for singing and theater. She is presently training under Guru Shri Anil Dholakia and Shri Aniket Khandekar for “playback singing” and “voice culture”. She has performed internationally at UK, Israel, Kenya, and Thailand. 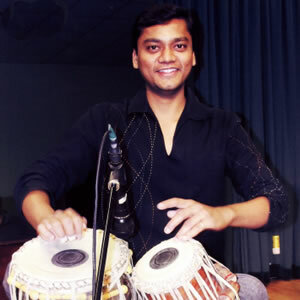 Daxesh Patel has knowledge in various Rhythm Instruments and has been performing for over 15 years. He also has presence on the National TV as well as national radio. He has travelled internationally as well for performances including a past EKAL fundraising tour! Divyesh Bhatt has over 10 years experience of performing on the Keyboard. He too has been part of EKAL fundraising event in the past and also holds numerous clients in India showcasing his talent. 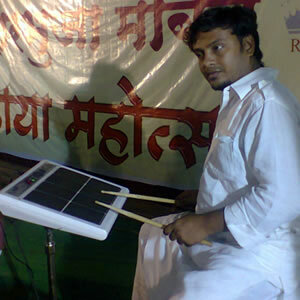 Jayakumar Natu is proficient in Octapad, Rhythm and various other Musical Instruments. In addition to performing for numerous local clients including the government of Vadodra, Jaykumar has travelled internationally for various shows, including being a part of EKAL annual fundraising event in the past!